There are so many catchwords and acronyms in education these days. Grit. Mindfulness. Executive Skills. STEM. STEAM. The Common Core. No doubt all these things are important. 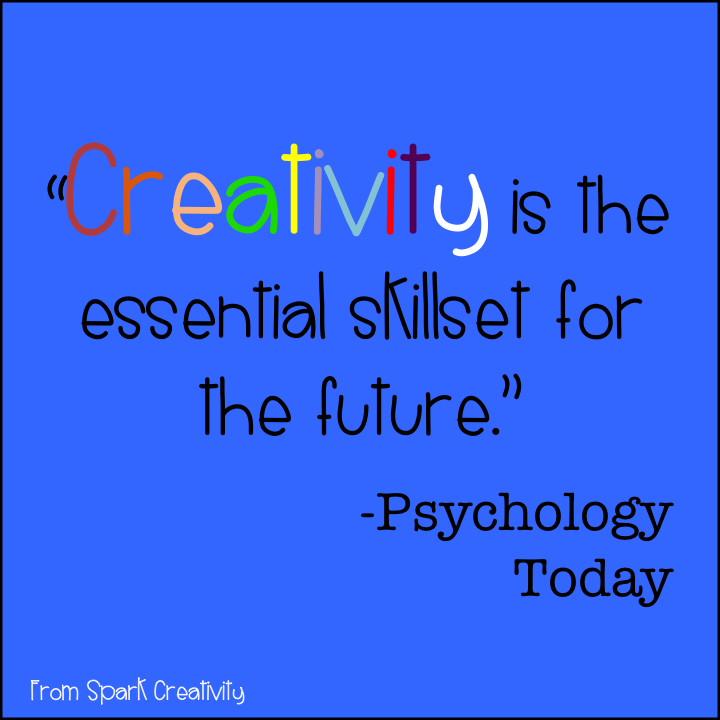 But to me, creativity is the essential core of education. 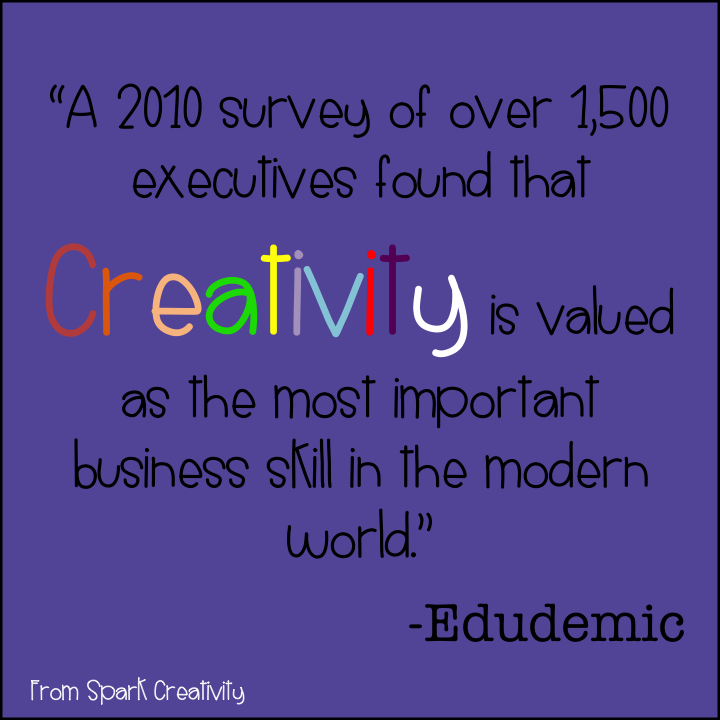 Creativity allows students to approach challenges in unique ways, to adapt to change, start new businesses, reach across disciplines, invent and discover whatever will be important in their futures. I don’t know what the problems and glories of my students’ lives will be, but I do know they will not be prepared for them by answering reading check questions and writing chapter summaries. 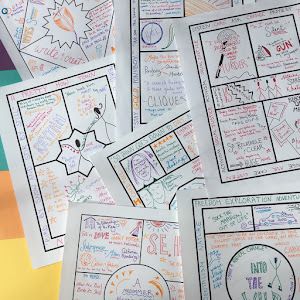 When I design English curriculum, my job is to help students learn to think creatively, express themselves creatively in any number of channels, write creatively in many mediums. When I write a reading quiz, instead of asking a student what happened to Dimmesdale in The Scarlet Letter last night, I’d rather ask the student to write a blog post from the perspective of Arthur Dimmesdale about the nature of morality. When I create a free reading unit, I’m going to show students a huge range of books – fiction, nonfiction, classic, scifi, graphic novels, YA – so they can develop their own true interests as readers. I am going to encourage them to walk their own paths as readers – because who am I to judge where their reading might someday take them? When I develop a closing project for a unit, I’m not going to limit their options to a single analytical paper. Why not design a t-shirt line expressing the themes of the book? Why not imagine what road trip the main character would take through America? Perhaps invent an app and marketing plan for the hero’s new start-up? When I design a classroom space, I’m going to remember what emphasis companies like Google and Apple place on their atmosphere. What student will find creative inspiration in bare walls and dying plants? Instead I prefer book displays, maps, posters, a student work hall of fame, a postcard collection featuring incredible architecture and art from around the world. And when we can, outside we go. When I present students with group work and discussion opportunities, I’m not going to assume they know how to share a creative group conversation. I am going to teach them how to respect each other’s voices. 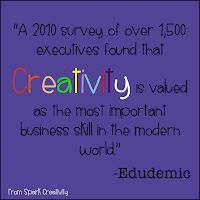 I am going to show them how learning from the views of others can enrich, not diminish, their own creative thinking. When I assign homework, I am going to try to remember to make it worth their while. If I want my students to believe in what we are doing, to keep their minds open to creative expression and new ways of learning, I cannot assign them busywork. They need to know their time is worth more than that. 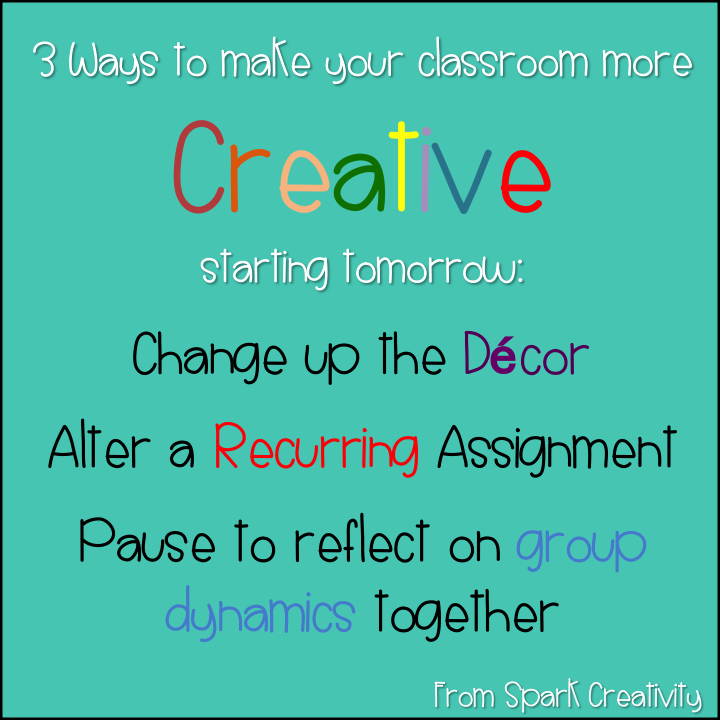 #1 Change up your Décor: Ask your students for ideas! Tell them you want to create a more creative workspace for them and ask what would help. Changing the seating, putting up fantastic student work, adding a few pieces of art or some beautiful plants, any of these would make a difference to your atmosphere. Maybe you could commission one of your students who loves art to make something just for your room. A portrait of an author? A mural of favorite characters? A series of painted quotations? #3 Change your discussion dynamics: So much creativity comes out of collaboration, but only when people trust and respect each other. 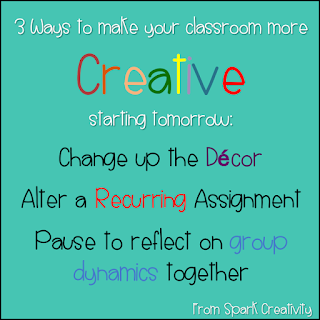 Take some time to reflect with your students about your own group dynamics. Do something fun together to increase the group bond and then take the last ten minutes to discuss ways to improve how you work together as a group. 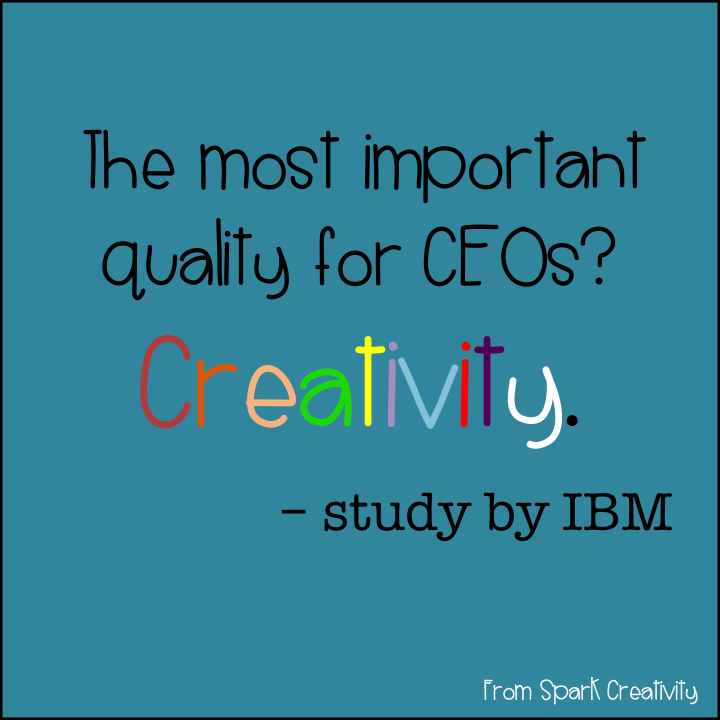 I ❤️ that creativity is noted as an important disposition in the workplace! I especially like your suggestion about focusing in on discussion dynamics. As teachers, it's sometimes hard to remember that we are facilitators of discussion and not meaning providers. Thank you for bringing that up! Facilitating can be so challenging sometimes when it feels easier just to jump in and "fix" things. But I continue the quest to help students learn to take ownership for their own experiences and I can tell that you do too! 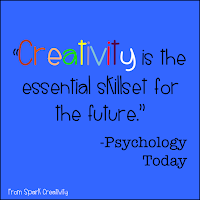 I completely agree that everything boils down to helping students develop their creative abilities. Thanks for sharing! 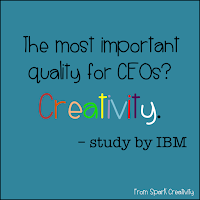 I love to think of the difference they can make in the world if they trust in their own creative abilities! Great ideas for enhancing students creativity skills in the classroom by making some modifications to learning approaches and the classroom environment. Many thanks! Thanks, Sarah! I'm so glad you joined in here!